The OdinS technical project office has a team of Industrial, Electronic, Computer and Telecommunications Engineers who prepare proposals and execute both projects and technical management integrating infrastructures telecontrol systems, machinery and industrial process automation in the fields of Industry 4.0, Smart Cities, Smart Buildings and Smart Agriculture. This department is in charge of managing and planning a project at all stages from the beginning until the implementation: commercial department offer, the project monitoring, orders, subcontracts, reports. The technical office will look for the best solutions to solve the problems of the client using own technologies (OdinS products) and also among others. Finally, the technical office provides product customization for clients who seek such solutions, coordinating the respective personnel in each department involved. Once the new designs have been made in the R + D + i department, the production department carries out of the remaining production stages. Qualified personnel perform an accurate control in every step of the manufacturing and programming process to ensure the quality of our products. Production department carries out the quality control of equipment in workplaces, the managing of warranties, serial numbers, warehouse and packing, etc. We are in charge of the order management coordinating the production schedule of each equipment that produces to ensure respect the delivery terms with the customer. At OdinS, we have a committment in research and innovation as a future investment to achieve more efficient, competitive and sustainable products and solutions that respond to/meet the new society challenges. Therefore OdinS is a company involved in a wide range of research projects in several consortia of international companies and universities, which allows to be at the forefront of the latest innovations of the relevant sectors for our company.  In addition, OdinS is a member of several national and international technological and innovators groups such as SmartLivingPlat and FIWARE. OdinS is formed by professionals with more than 10 years of national and international experience in research and development (R + D + i). During these years, we have participated in more than 20 international R + D projects (Euro6IX, 6Power, Deserec, Enable, Daidalos, SEINIT, POSITIF, SWIFT, IoT6, Smartie, SocIoTal, etc.) in European Framework Programmes for projects as FP6, FP7 and H2020. OdinS staff develops and innovates products and solutions based on the latest technologies such as Internet of Things (IoT), advanced data processing (Big Data), cyberphysical systems (CPS), applications adapted to mobile devices, etc. The quality and innovation is essential for the Odins products and solutions granted by the national and international awards/prizes accomplished. The quality department is responsible of enforcing compliance with all quality procedures and policies of the company, advising workers, suppliers and distributors, and ensuring compliance with quality standards in all departments. EIBT SEAL (INNOVATIVE COMPANY OF TECHNOLOGY BASED) by the national association CEEI (ANCES). EIBT is a national recognition that has the support of the Ministry of Industry, Energy and Tourism. ANCES grants this accreditation to a limited set of Spanish companies to be a distinctive brand because of its technological innovation and the product quality. This brand confirms the R+D+i capacity of technological companies. You must rely on the high standard, outstanding and distinctive of research and innovation at the national to achieve this recognition which obtains very few companies. YOUNG INNOVATIVE COMPANY SEAL (JEI) according to AENOR EA0043 accredited by the Ministry of Economy and Competitiveness. This seal certifies a high R & D & I capacity of the company according to standard UNE 166.002 . This seal requires to prove the company participation in National and European R&D&I projects. ISO 9001/14001 CERTIFICATE BY BUREAU VERITAS. ISO 9001 is a Quality Management System achieved when the organization prove the ability to deliver products or services that meet the customer requirements and the applicable regulations. The application of ISO 9001 allows small and medium-sized companies catching up with the largest ones, keeping pace with efficiency and competing in equal opportunities in today’s aggressive market. HARDWARE AND WIRELESS MODULES CE, RHoS, CERTIFICATES. CE is a critical indicator of the product concurrence to the EU legislation and enables the free movement of products within the European market. All manufactured devices comply with the RHoS standard for the hazardous substances restriction in electrical and electronic equipment. The objective of ODIN SOLUTIONS is the design of flexible, open and interoperable products capable of connecting and managing portable infrastructures and systems in an intelligent way. Quality and environment policy is to ensure that all designed, manufactured and installed products that meet with each and every one of the requirements demanded by customers as well as legal and regulatory requirements, maintaining high satisfaction level of customer needs, all this is thanks to be concentrated on continued products and processes enhancement. Quality, the Environment, Safety and Health at work, basis essentials of ODIN SOLUTIONS, make an effective whole unit with our integrated management system. Senior Management is emerging as a leading integrated management system, actively contributing to continuous improvement, accidents prevention and environmental care. We constantly monitor that we respond to our customer´s demands and expectations also contributing to sustainable development. Management will enhance the training required to obtain a highly qualified staff which provides to manages increase our competitiveness in the market, differentiating us from our competitors. We consider that the continuous improvement as our system´s permanent objective, a method that leads to consistently increase the quality perceived by our customers and aim us at excellence. Complying with all the requirements necessary: customer, legislation and other general regulations applicable to our services and also in environmental matters. We contribute to sustainable development, taking a solid commitment to the environment in our integrated approach, ensuring optimal conditions in connection with continuous improvement and pollution prevention. Encourage the internal and external communication regarding the quality and environment at work in our organization. Based on these management criteria, ODIN SOLUTIONS, S.L. Management define annually integrated improvement objectives that will be systematically reviewed to assess the degree of compliance and implement applying the necessary measures in order to meet the proposed challenges.